Aaron Zelman, JPFO's late founder, made it one of his many missions to celebrate Bill of Rights Day, ratified December 15, 1791. The Bill of Rights, more and more under attack, defines America. We should celebrate and nurture it. The Constitution of the United States would never have become the law of the land without the Bill of Rights. Several states refused to join the Union unless there was a Bill of Rights to limit the federal power and protect individual rights. We should celebrate and nurture it. The Bill of Rights guarantees fundamental civil and human rights: the freedoms of speech, press, assembly, religion; protections against unreasonable searches and coerced confessions; rights to counsel and a jury trial. For these rights and freedoms people have struggled for centuries. The Bill of Rights remains a beacon to freedom-loving people worldwide. We should celebrate and nurture it. The Bill of Rights does more: it defines the limits of government power. More directly than any other single document of law, the Bill of Rights stands between tyranny and liberty. Refugees flee to the United States, not for its "three separate branches of government," not for its arrangement of senators and representatives, but for its liberty. The foundation of that liberty is the Bill of Rights. We should celebrate and nurture it. We have special days for the birthdays of great leaders, to remember special events, and to honor our military services. 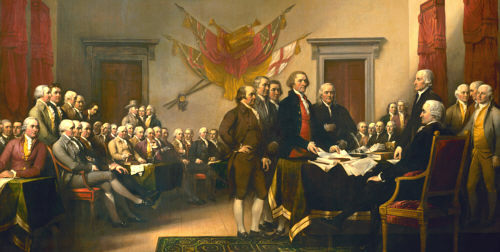 But all of these remarkable people and events aimed to advance the cause of liberty -- the cause of the Bill of Rights. Just one day per year, let us fly the flag, put up a poster, and most important of all: read the Bill of Rights. Also read it, to our children, in libraries, in schools, in homes, as well as reminding our representatives in congress of their oath of office. Aaron Zelman, in collaboration with Claire Wolfe and Richard Stevens, wrote nine years ago "You'll be Freer and Richer in the Bill of Rights Culture" -- a two part treatise on the subject. There is much food for thought contained within which is valuable reading. Read also some sage words by L. Neil Smith "Being Necessary ...", which does not mince words when it comes to defining the true meaning of our Bill of Rights. JPFO has a useful index page of Bill of Rights material.